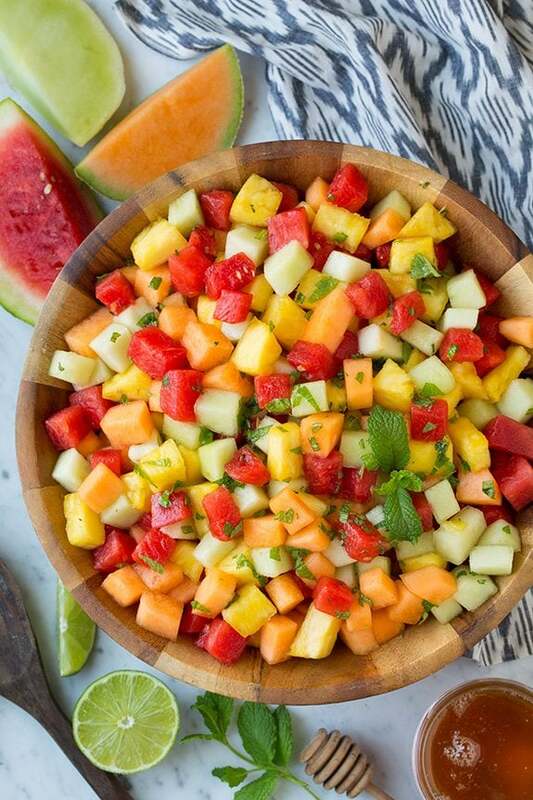 Melon Fruit salad with beautiful colors and refreshing flavors! It’s so easy to throw together and the perfect side at any cook-out or summer party. 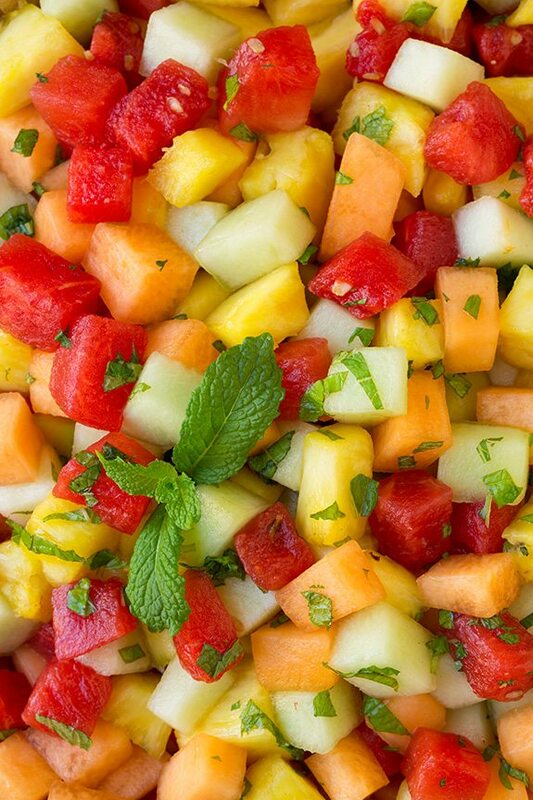 I know this Melon and Pineapple Fruit Salad with Honey, Lime and Mint Dressing is pretty much skipping a season but I couldn’t resist. When you get pineapple for .99 cents it only makes sense to spend $10 more and make a fruit salad :). 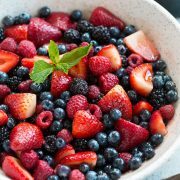 This is the perfect summer fruit salad and if you can find good melons right now it also makes the perfect spring fruit salad. All of the fruit I got was actually really sweet and delicious except for the honeydew. I need a little help picking out melons, they can be tricky. I was hoping it would be a little more green but I’m sure I’ll be making it again sometime and maybe next time I’ll get luckier. Anyone know the trick to getting a greener honeydew? Maybe they need to be a little more ripe than mine was too, riper fruit can tend to be a deeper shade in color. Anyway besides that this fruit salad is amazing! It’s simple and there isn’t a lot to it but absolutely love the bright fresh flavors here! 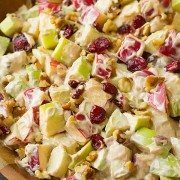 The dressing compliments the fruit perfectly and I love that it’s a light dressing that doesn’t hide the delicious flavors of the fruit. The key with this is to add the dressing just before serving because melons start to break down quickly – especially the watermelon. Also drain of any excess juice after chopping up the melons, espeically if you’ve let them sit in the fridge for a while after cutting. I hope you get a chance to try this soon, it’s a perfectly refreshing and healthy treat that will leave you craving more! 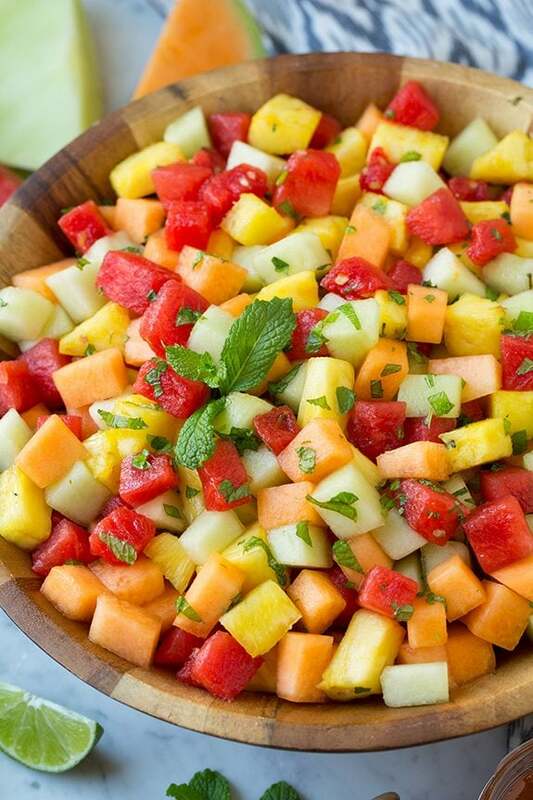 Melon Fruit salad with beautiful colors and refreshing flavors! It's so easy to throw together and the perfect side at any cook-out or summer party. 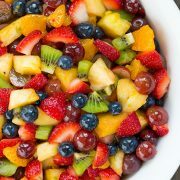 Dice fruit (drain of any excess liquid) and add fruit to a large salad bowl. In a jar or bowl whisk together honey, lime juice and mint. 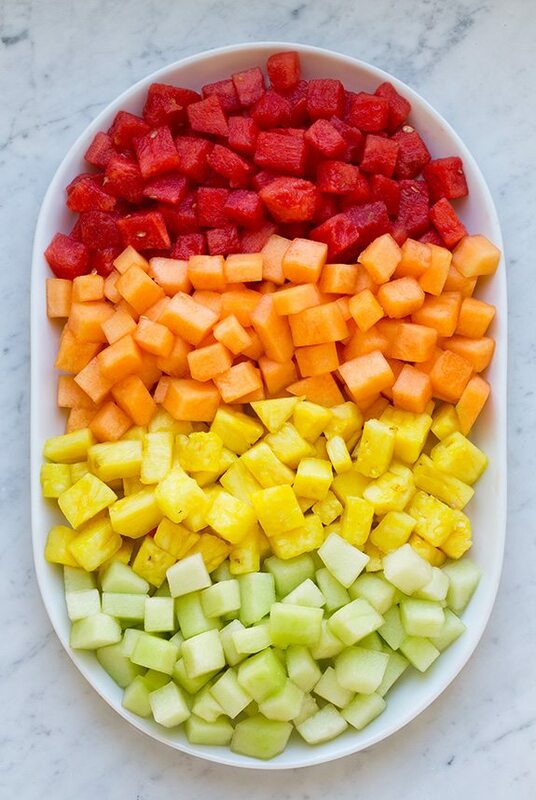 Pour over fruit and toss to evenly coat. Serve immediately.